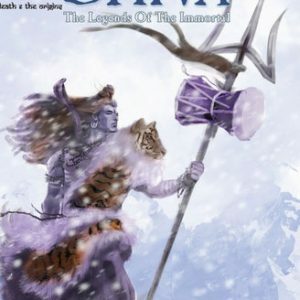 2013-04-27After the huge success of Shiva – The Legends of the Immortal Book I (Graphic Novel) Vimanika Comics presents its sequel Shiva – The Legends of the Immortal Book II. 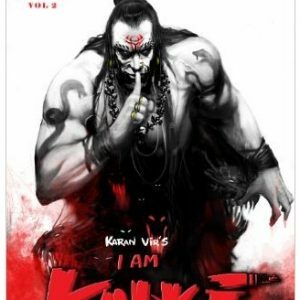 The sequel promises to match and perhaps exceed the critical acclaim & Success of the first graphic novel of the Shiva series. Buoyed by the success of the Book I, team Vimanika has crafted this story in a first person narrative with Lord Shiva acting as the narrator. The sequel picks up from the point where the first story ends. Lord Shiva has turned into a Aghori(Nomad) and is grieving for his beloved Sati. Sensing an opportunity to prolong his reign, a tyrant Asura(Demon) called Tarkasur seeks a boon from Lord Brahma that he might be killed only by the son of Shiva. Tarkasur then ushers a reign of terror and oppression destroying Vedic culture. He conquers the three Lokas and the Devas are forced to live in exile. Lord Vishnu assures the Devas that Maa Jagdambe will take a reincarnation in the form of Parvati. 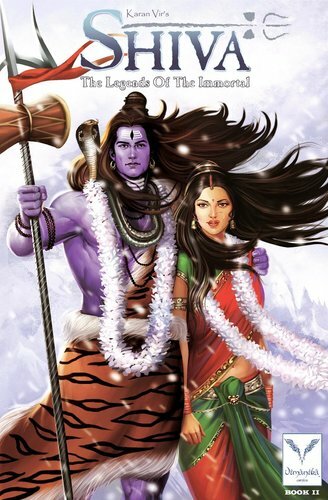 Shiva – The Legend of Immortals II, dwells extensively on a love story of Lord Shiva and Parvati and the interesting incidents of their marriage. Vimanika comics is synonymous with authentic Indian mythological stories and the team promises to continue this tradition. The graphic novel has been extensively researched by our research team. The artwork is aesthetically pleasing befitting the stature of Lord Shiva. 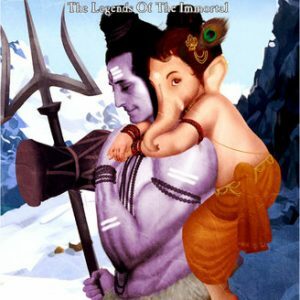 May Lord Shiva keep blessing us perpetually.